A church is for life, not just for Christmas. Canon Rev Roger Royle, who presents the early morning show on BBC Radio 2 on Christmas Day from 3.00 am to 6.00 am, writes about the importance of looking after churches at Christmas and throughout the rest of the year. Christmas is when the churches and chapels of this country are at their best. Carols, cribs and congregations all contribute to making this time of the year really festive. And that is as it should be. Churches, chapels and meeting houses are at the heart of our nation’s heritage and landscape. An unparalleled mix of history, architecture, art and spirituality, they form the centrepiece of thousands of cities, towns and villages across the United Kingdom. But that doesn’t come about without a lot of hard work; work that is often unseen and sadly sometimes not appreciated. There are so many people in this country who through sheer hard work, dedication and generosity make sure that our places of worship are open not just at Christmas but for the other 364 days of the year as well. To them we should be very grateful. Looking after the well-being of our own homes is demanding enough. Looking after God’s House can be a nightmare. 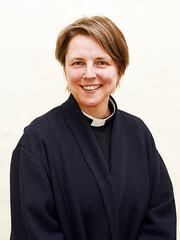 With priests and ministers at full stretch looking after the spiritual health of their congregations , the work of looking after the well-being of parish churches often falls to dedicated volunteers. Up and down the country, it’s usually lay-people who dedicate their spare time to make sure drains are cleared and heating serviced and even oversee major projects to fix leaking roofs, replace rotting timbers or re-build crumbling spires. 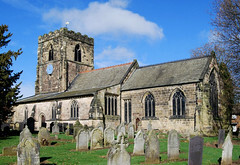 A wonderful example of a community coming together is Holy Trinity Church at Ratcliffe on Soar, Nottinghamshire. Eight years ago, the congregation realised that the church was in dire need of extensive repairs to restore its damp and deteriorating fabric. To carry out this work would usually have required spending tens of thousands of pounds. 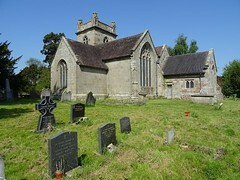 However, thanks to the determination of villagers, together with the expertise of the Society for the Protection of Ancient Buildings (SPAB) and the dedication of volunteers, this Grade I listed parish church has now been restored purely on a voluntary basis, without government funding or paying contractors for work. The residents of Ratcliffe on Soar are aware that work on an ancient building of such importance is never complete. However, they continue to work, ensuring that it is passed on to the next generation in a better state than they found it. Unlike the major Cathedrals, our parish churches and chapels are often run on a shoe-string. So in this age of austerity let’s be thankful that in 2012 the Government found £1.1 million to pay for capital works at parish churches and that charities such as the National Churches Trust continue to fund essential repairs. I hope that you will have a very happy Christmas and pray that the message of God’s generosity and love will be of strength to you. And if you are visiting a church or chapel to celebrate the birth of Jesus with your family or friends, do spare a prayer for those unsung heroes who have made sure that our places of worship are open, welcoming and safe.